I spent Saturday morning collecting prices in the grocery store, and by the time I broke for lunch, most shops had closed their doors for the weekend. 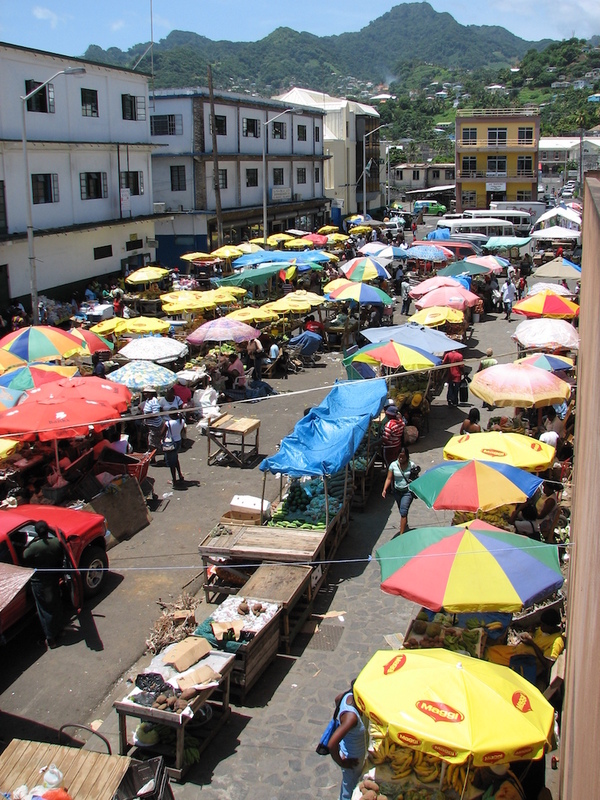 I was advised to visit the Saturday market in downtown Kingstown, so I walked a few blocks from lunch and meandered my way through stalls and umbrellas of food and an assortment of goods. Mangoes, bananas, and coconuts seemed to dominate the market, but I saw a few vendors selling bootleg media and small hygienic products. Nothing too out of the ordinary here in St. Vincent. I joined Allie the economist for a pleasant meal at a hotel down the street, indulging myself with a tasty pan-fried red snapper. While Allie reminisced about growing up in Iran and working for the IMF in D.C., I dodged fish bones and made an impish decision to eat the snapper’s eye. It was chewy. 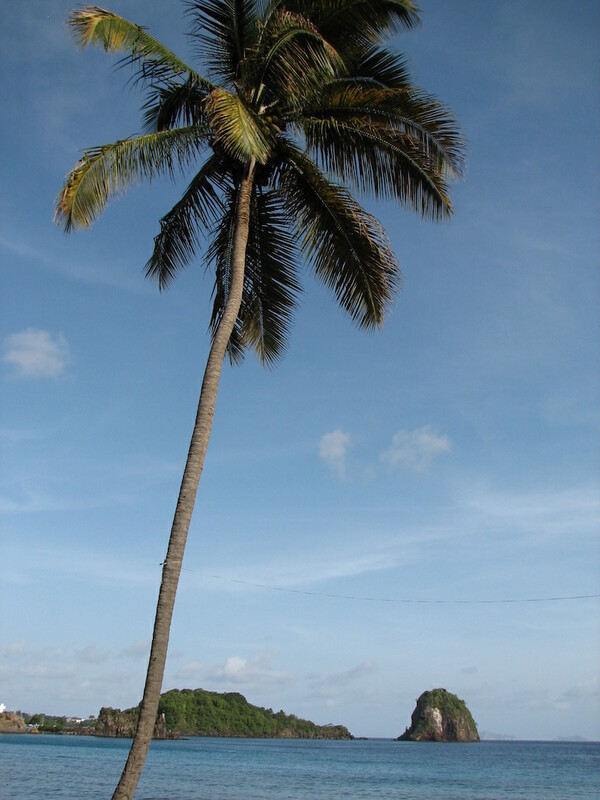 Sunday morning, I woke up and hopped in an hour-long taxi to the northern part of the island. My plan was to hike up La Soufrière (“sulfur outlet” in French), St. Vincent’s highest point at 4,048 feet, a stratovolcano that last erupted in 1979, thankfully leaving no casualties in its wake. I slept the rest of the afternoon and went down to the ocean for a little swim. I passed out early and awoke this morning refreshed and ready to start another week. Today was pretty standard; wake up, go into town, and write down prices. I had lunch with some family friends that were here visiting their daughter – stationed nearby in the Peace Corps – and it was good to see some familiar faces. Ooh, I forgot to mention! I usually take the public van into town each morning, but this morning I wasn’t sure where to get dropped off, so I took a taxi. As we drove into town, Andre, my driver, honked at a passing car. Thought that was worth noting. I leave for Grenada on Wednesday evening and will post another update there, Internet-connection pending.